Can Arsenio Hall Succeed In New Talk Show After Celebrity Apprentice Win? 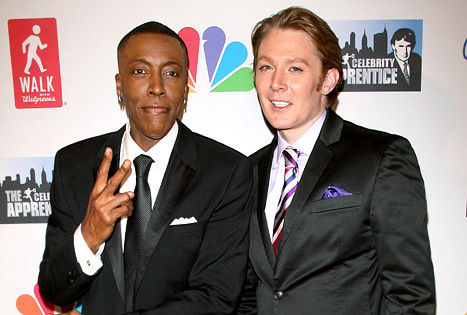 Sunday night on Donald Trump’s “Celebrity Apprentice,” Arsenio Hall was victorious over pop star Clay Aiken. To win, Hall showed his ability to promote his charity of choice, the Magic Johnson Foundation, via a charity event, a PSA for the charity, and a raising of funds. Aiken out performed Hall in terms of money gained, but Trump was more impressed with Hall’s tactics. With winning, Hall brought in not only the amount of money he raised at his charity event, ($167,100) but also another $250,000 for winning the “Celebrity Apprentice” to the Magic Johnson Foundation. After Hall is done promoting the show, which will require a great deal of travel that might be an issue due to the entertainer’s openness about his fear of flying, he has his eyes set on something much bigger than a reality show. Hall made it clear that he is interested in returning to late night with a new talk show. 5 is the number of years of experience Hall has as a talk show host from 1989 to 1994. 1,248 is the number of episodes (and hours) of experience Hall has in his old show. 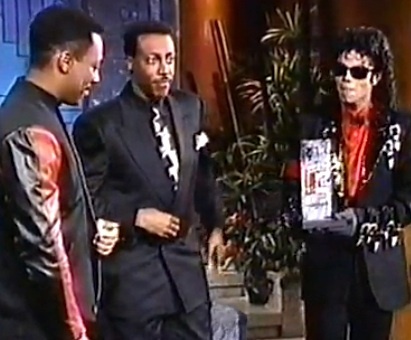 For those old enough to remember (or with the 2 minutes to Google it) Arsenio Hall hosted The Arsenio Hall Show for half of a decade. In addition, Hall was the host of FOX’s The Late Show for about 4 months in 1987. Hall’s show, distributed by CBS, was the center of pop culture. His guests included some of the biggest names of the day. Memorable guests include MC Hammer, Bill Clinton, Eddie Murphy, Hulk Hogan, Randy Savage, Whitney Houston, Michael Jordan, Madonna, and Michael Jackson. Since the cancellation of his show in May of 1994, Hall has worked on TV, a few films, and has been regularly involved in radio shows. But now, with his newfound resurgence in fame, Hall is coming very close to returning to late night. TMZ reports that Hall is already speaking with NBC and a pair of other networks to put together a return to the talk show world. With the late night lineup currently packed, it is possible Hall might have to settle for a daytime slot. But can Arsenio Hall connect with today’s audience? Without a doubt at first the ratings would be high as fans would be excited to see Hall’s return and to see the quality of his monologues and what guests he would have on. He will likely be able to bring on his old friends such as MC Hammer, Magic Johnson, and Eddie Murphy. But based on his previous guest list of the biggest names in pop culture, will Hall be able to relate to today’s top stars? Of course Hall will be able to interview and get along with his guests, but will he need to update his style from two decades ago? Probably so. Hall will need to bring his style up to date to be able to set himself apart from Letterman, Leno, and Kimmel. He will need to shake things up a bit to bring entertaining interviews with entertainers like Lil Wayne, Lady Gaga, Justin Bieber, Drake, and other pop culture figures from the acting world, sports world, politics, and more. If he ends up with a night time slot, he will not only need to prove he still is relevant and exciting, but that he is equally or more entertaining than Letterman, Leno, and Kimmel. Arsenio Hall is riding a wave of popularity after winning the “Celebrity Apprentice.” Fans have very fond memories of The Arsenio Hall Show from the early 1990’s. But can a show that was at its height twenty years ago still succeed today?